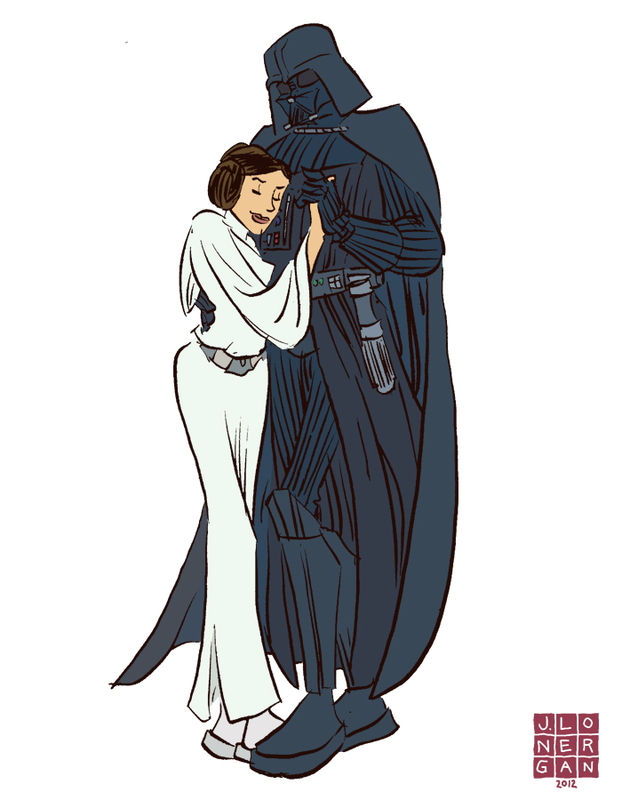 All is quiet at the Vader Bob and Bobbie household. Everyone here, believe it or not, is a happy camper. Even Walter is happy. He has only been scowling at me and not saying much. So, not having much to do, I sit here pondering the fate on how to aggravate my friends. Not just any friends mind you,but our spanking friends. As I rummage through my mind about the normal things to give like wooden spoons, spatulas, paint sticks and other household weapons of a** destruction, I was mentally checking them off as I was thinking of them in my mind. 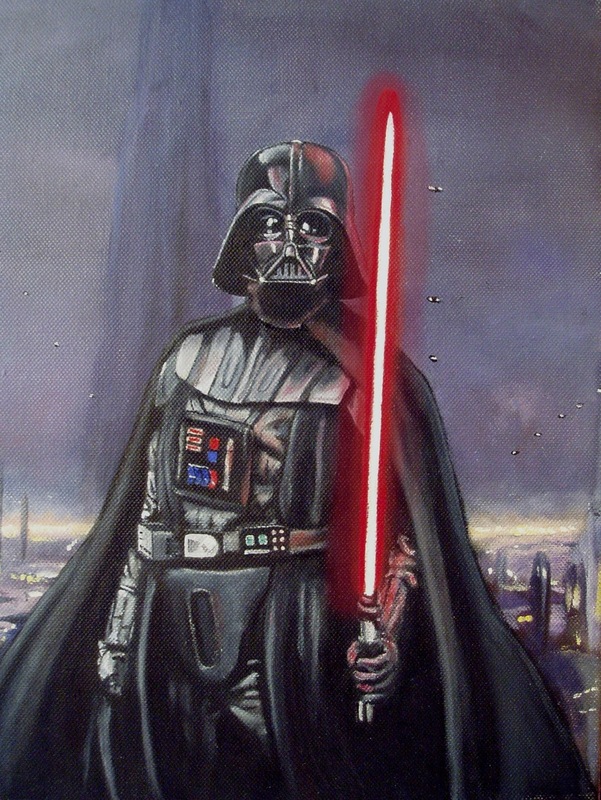 After that exercise in futility, I drew a big blank, then suddenly a ray of light came through the window blinding me. I started to get up and I saw the rope lights that we put on the Christmas tree and I suddenly had the Idea of the perfect gift. I was so shocked by the idea that I had to sit down and catch my breath. Bobbie looked at me with concern because she knew it meant one of two things were going to happen. One, I was going to suggest going to the cone of silence and she wanted no part of it; and two, that I had come up with a gift idea for our spanko friends. Looking at me with trepidation and standing close to the outside door ready to book out of Dodge City at the drop of a dime, she asked me are you ok? Me, smiling like a loon, speaking fast, I found the perfect gift. In fact I don’t think anyone has even thought of it. It is ingenious of me to think of it. I told Bobbie about my idea and the smile that came across her face was priceless. She told me you know that they may never talk to you again as we both laughed evilly. Why are all of you looking at me like that? Oh! Ha! Ha! I haven’t told you what it is yet. Silly me. 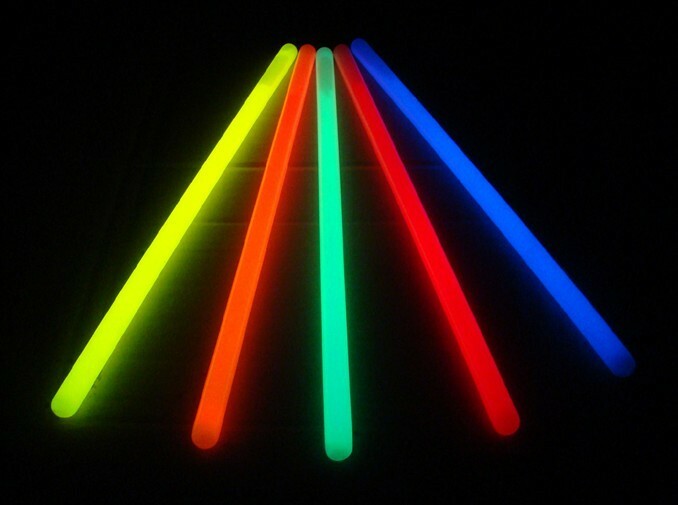 The toy that I was talking about is the glow sticks that you buy the kids at carnivals. You shake them up and they glow for hours. It amuses the heck out of the kids. Just think of the fun you can have with your tih over the knee, couch, chair heck even slightly bent over striking her lightly at first to see what kind of sting it produces and just think of all the ouches and darn you's that you will elicit from her. I know some of you nay sayers out there are saying bad Bob I don't like stingy implements. But have no fear I have that covered too, because you can get the big brother glow stickst hat you use for walking at night. Now you too can enjoy the same pleasures that your fellow tih’s are enjoying. Aren’t you happy I thought of you too? As you can see this has opened up a whole new way to play spanking games. For example, for the hunter, the tih can either have the small glow in the dark bracelet while the HOH has the big glow stick. Set her free to go hide and after a set amount of time the HOH would go looking for his tih. Will he be stealthy looking for his prey? Or will he try to flush her out by calming by saying he knows where she is and hoping she will give her position away and if he finds her he can give her a set number of spanks for getting caught. For the sport minded person, you can compete against your friends as to who will have the bragging rights to how many spanks that were given or taken. Same rules as above apply, but put the game on a time limit and the one with the most spanks given or received is the winner. Make it real fun and have trophies or plaques that the winner can take home till the following year. But oh why oh why stop there! If you let your imagination run wild as I have done, you can come up with more exciting games using the glow in the dark technology. You have markers, paint and tape to name a few. For the HOH artist out there you have the indelible markers, you can have your tih bend over or lie on the bed very still of course so you can use your artistic abilities and paint some fabulous targets on her backside. But why stop there. You can make a whole glow in the dark landscape along with trees and buildings too. Now the challenge would be to see if you could set the buildings aflame. As always please have a fire extinguisher handy in case the fire goes out of control. Not artistic? No problem. You can design a fireplace nothing elaborate just an open rectangle and draw some wood in it and voila you have a fireplace. But now the fun starts. Since it is cold outside wouldn’t it be nice to start a fire for your tih? Take that paddle and show her your survival skills? That by applying two objects together you can start a fire? Now the both of you will be nice and toasty. Glow in the dark duct tape is another wonderful product that you can let your imagination go wild. You can wrap it around the paddle so you will never lose it in the dark again.Or you can frame your tih’s backside and turn off all the lights and well you know what to do. I am sure that this is just the tip of the iceberg in what can be done with glow in the dark technology. What are some of the ideas that you have come up with that I have missed? These would make great stocking stuffers too. Just think of the fun and squeals of joy you would hear from your partner when they open them up. As the internet gets bigger and bigger more people are looking towards it as a dating service for the means of meeting and hopefully under the right circumstances met Mister or Miss right. This tool like everything else could be used for good or it could be used for bad. 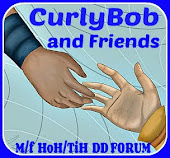 Bobbie and I frequently visit the ADDS chat room maintained by MRBBSpanker, he has given us, a core group of people that meet a couple of times a week free rein on how to control the chat room with the one stipulation that we have to keep it as a DD chat room and not to use it as a dating service. He pops in every once in a while to see how we are doing then disappears into cyber space doing other things that he needs to do. There has been a flux of single women that have come into the chat room to see what we are all about. As we talk to them and get to know them some talk about their experiences with dating on the internet looking for potential partners. Few of the women have it together and understand the ways of the internet and take certain precautions in protecting themselves. Others, well they don’t have a clue as to what to do and they don’t understand the dangers of what could happen in cyber land. This post is in no way the definitive way of doing things as situations change and so should the participant to be ever vigilant into being alert and safe at all times. This is my thought on how to be safe and from doing research from other blogs of people that have done this type of thing before. Before you even think about searching for a new mate, you should have a game plan on how you are going to move forward in this new endeavor. First thing is to know who you are. By this I mean who are you, what is it that you are looking for in a relationship, and what are your needs that are non-negotiable that is a must for this to work. Then think of your wants, what is it that you would like to have but that are not deal breakers and once you have figured that out write it down. This is what you are going to base your whole quest on. Now that you have written a list of what are deal breakers and what is not. Do the same for the type of guy you are looking for. List everything that you want in a guy. Yes I know it sounds like a shopping list and in a way it is after all you are shopping for a partner. Make two columns and list them as must haves and would like to have but can do without. Before you do anything else you have to have a support group and that is you need to have one or more friend know what you plan on doing and find out if it is ok to use them as a safety net. By this I mean when it is time to meet your date can he/she man the phones and keep a vigil going for your safety. When you first set up your date you, are going to give your chosen person all the information of where, when, how and at what time you are going to meet that person. You are going to have two safe words. One word saying that you are ok and the other that you are in danger. Make sure your friend understands that she is to call the police if you don’t call at a certain time or if you use the safe word indicating that something is wrong. When you write your profile tell the person a bit about yourself but do not divulge any personal information. Keep it as general as possible and keep it honest. Don’t tell them you’re into skydiving if you’re afraid of flying. Pick the dating service that you are going to use. Some you will have to pay for and some are free and then read the fine print before you sign the contract. I know it is boring but you will need to know how they are going to handle your information, who and how they will see your information, how many hits you are allowed before they charge you more money. Now that all that is done your profile is out there and you have some prospects to consider and then bounce around. See what they say and bounce it off that list you made about your wants and needs. Does what he said on his profile come close to what you want? No? Put him aside and move on to the next letter. You hit the jackpot! After several emails back and forth, he seems like a great guy that you want to meet. But before you do, ask him for his driver’s license, address and his cell number that he can be reached at. If he balks at the idea then tell him thanks but no thanks and end all contacts with him, he is not being honest and could be hiding something. Set the time and place that is agreeable for the two of you and put all that in a packet and give to your friend, go over it with them make sure the both of you understand the passwords and the exact time that you are to call. Do not accept a ride from him on your first date. On the day you are supposed to meet him get there an hour earlier and park your car away from the meeting place. Go into the restaurant and make small talk with the waitress so that she will remember you just in case something goes wrong. When your date arrives enjoy yourself and at the appointed time tell him you have to make a phone call to your friend and then call her and give her the password telling her that everything is either fine or not so good. When it is time to leave say your goodbyes and let him leave first. Tell him you have some errands to do or that you are meeting a friend here to go shopping. Either way let him go first wait 20 minutes then you can do whatever you want to do. In the same breath be aware of your surroundings.The reason for this is so that he can’t follow you home if for some reason the date didn’t go so well. You don’t want him on your door step one day. Yes this sounds like a lot of wasted time and steps but I would rather see you waste time than be sorry that you have a potential stalker on your hands. A lot of people have found true love on the internet and many people have been hurt by it also. So use it wisely and I hope that you find the person that you are looking for but above all else please be carful and watch your back. 1. Motivated: I took you, to protect you. Everything that I did was to protect... YOU You know why I keep you in this tower? Yes to keep you safe. 2. Supportive: Mother knows best. Take it from your mumsy. On your own you won't survive. Sloppy, underdressed, Immature, clumsy, Please! They'll eat you up alive! How you manage to do that every single day, without fail? It looks absolutley exhausting darling. 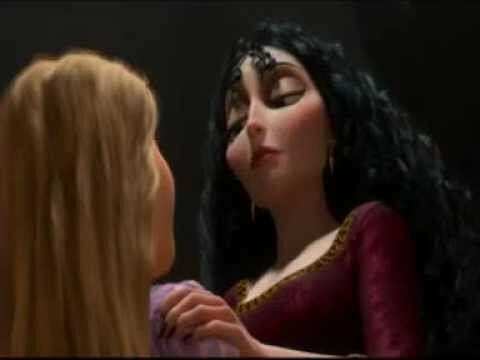 Rapunzel: Oh... it's nothing. 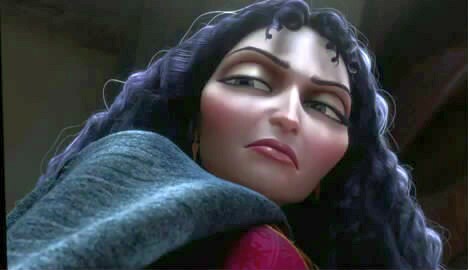 Mother Gothel: Then I don't know why it takes so long? 3. Caring: Look in that mirror. I see a strong, confident, beautiful young lady. Oh look, you're here too. : Don't be dummy, come to mummy. 4. Helpful: I really did try Rapunzel, I tried to warn you what was out there. The world is dark and selfish and cruel. If it finds even the slightest ray of sunshine, it destroys it! Likes you? 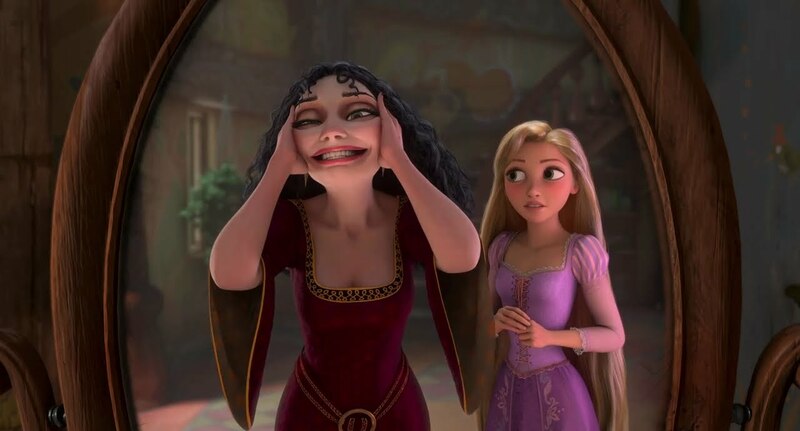 Please, Rapunzel, that's demented! This is why you never should have left! Dear, this whole romance that you've invented Just proves you're too naive to be here. 5. Playful: Rapunzel, please, stop with the mumbling. You know how I feel about the mumbling. Blah blah blah blah blah, it's very annoying! I'm just teasing, you're adorable. I love you so much, darling. 7. Protective: Rapunzel? Rapunzel, what's going on up there? Are you alright? Now, Now. It's alright. Listen to me. Everything is as it should be. Mother how did you find me? Well it was easy really. I just listened for the sound of complete and utter betrayal and followed that. 9. 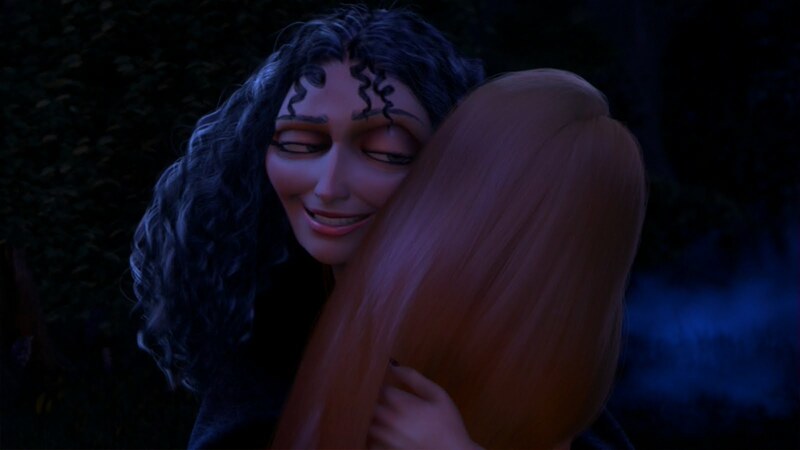 Loving: Rapunzel: I met someone. Yes. The wanted thief, I'm so proud. Oh well. C'est la vie. Enjoy your crown!